Annie is a funny little foodie, living by the beach who loves to get out and about. Having just arrived in Newcastle, I needed to make that all important stop for some of the best street food there ever was. 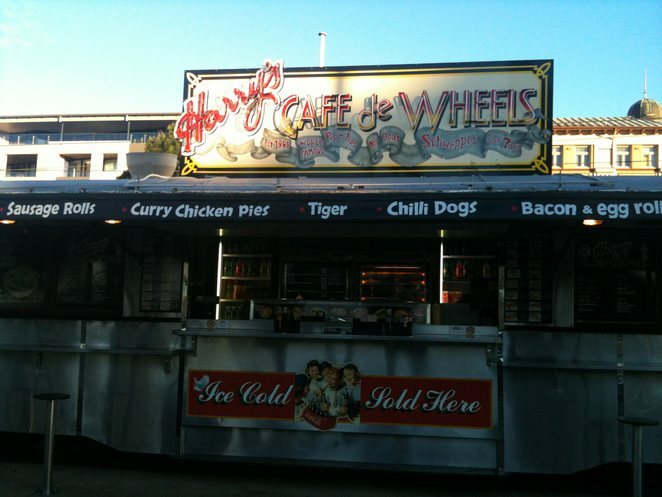 Harry's Cafe De Wheels is a quaint, unassuming food truck style cafe, which most would drive past thinking it's just for the truckers and locals. That's their mistake. Harry's is the home of the best pies and hot dogs you'll ever encounter. My friend and I got to Harry's and as usual, the outdoor seating is crowded with locals mingling, chatting and enjoying the ever popular treats on offer. The weather makes us lean towards hot-dogs today. While not the focus of Harry's menu, I feel these need more spotlight. 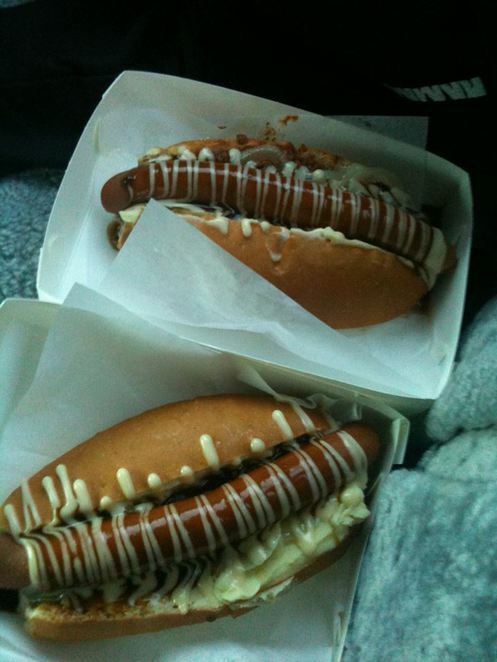 The best gastro pub cannot compete with the likes of these hot dogs they're that good. 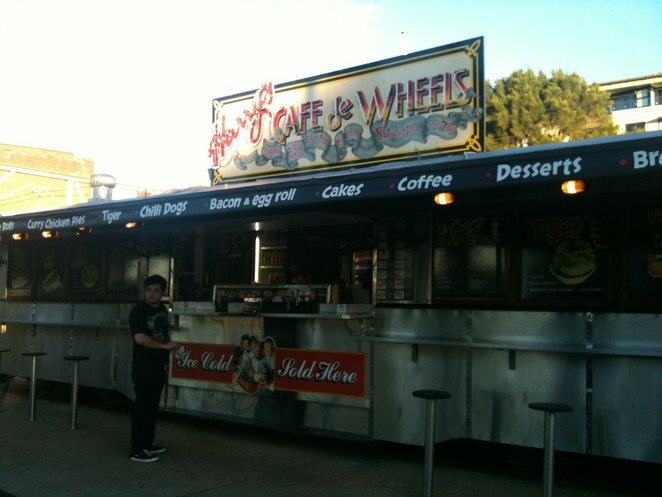 I order my standard favorite, the Hot Dog De Wheels, the signature hot-dog. It's a Viennese smoked Frankfurt grilled to perfection, served in a split roll, with mashed potato, mushy peas, garlic onions, chili con carne, cheese sauce and a little chili sauce. It's a fully loaded amazing mess. The smokiness of the chili con carne mixes with the sausage, creating a little smoky heat, which is quickly extinguished by the mushy peas and mashed potato. It's truly a perfect combination. My fried, being a local has his own tastes, ordering a hot dog with garlic onions, cheese sauce, mashed potato and gravy. Having not tried this combination before it piqued my inters and I had to give it a go. The creaminess of the mashed potato and cheese are much more noticeable in this not so laden hot dog. It' quite pleasant and the gravy is and always has been, out of this world! Mixed with the onions, it reminds me of bangers and mash in a hot dog. I'm more than okay with this. Unfortunately, we had to eat and run, but Harry's is a great place to sit, relax and get to know the locals. The surroundings are serene, clean and well maintained. For what looks like a truck stop on the outside, it's a whole lot more on the inside.